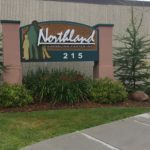 Our Community Residential Setting is licensed under MN Chapter 245D. We provide residential intensive support services, with a focus on person-centered planning and positive behavior support. Our program is designed to assist high need individuals with severe and persistent mental illness, dual diagnosis, and/or traumatic brain injury. Individuals in our program have very specialized needs that could not be met in less restrictive settings. We currently have 6 program sites; Maplewood, Pokegama, Spears Place, and Sylvan Bay are located in Grand Rapids, within 2 miles of each other. Our most recent addition, Cut-Across Farm, is located just outside of Bovey. 10th Street Foster Care operates out of International Falls. All AFC sites are Mental Health Certified facilities. 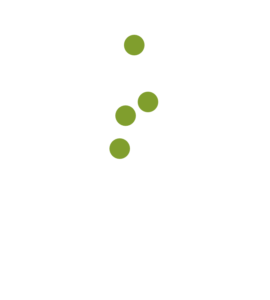 Cut Across Farm and Siseebakwet Ranch have been developed by Northland Counseling Center with the help of Itasca County and the State of Minnesota as a placement for clients discharging from Anoka Metro Regional Treatment Center or the Minnesota Security Hospital in St. Peter. We have a rural setting to provide on-site options for activities, such as caring for our tea cup pig, gardening, lawn games and bonfires, and we are currently staffed at two direct support professionals per client 24 hours a day to allow for continuous coverage and supervision of clients in the home or community. Spears Place also offers a crisis residential setting for an individual who is struggling with an increase in mental health symptoms for up to 10 days. During this stay we offer intense 1:1 services to assist with stabilization of mental health symptoms. Our 24-hour awake direct support staff is trained to assist, teach, and guide residents in the home. Each qualified staff exceeds the minimum annual training requirements and receive ongoing training and continued education throughout the year. Training topics range from MI Diagnosis, Crisis Services, Positive Behavior Support, De-escalation techniques, Confidentiality, Boundaries, Rights, Emergency Protocols, Nutrition, Medication Administration, Vulnerable Adult Reporting, First Aid & CPR, MN Positive Support Rule, etc. Individuals who have been diagnosed with the following: Serious Persistent Mental Illness (SPMI), Developmental Disability (DD), Traumatic Brain Injury (TBI) – MUST be CADI Waiver eligible. Case Manager completes pre-screening, CRS referral form, and submits to Management Team.